The 1968 distributor situation is interesting. The engineering numbers we've listed here are clearly documented in Ford literature, but we've received multiple reports from owners that describe finding the C8OF-D distributor with a single diaphragm vacuum advance on cars equipped with an automatic transmission. Coincidentally, Ford TSB number 1415 (dated 31 May 1968) describes the C8OF-D distributor being used with both manual and automatic transmissions. To top it all off, other owners have described finding the C8OF-J distributor on 1968 Mustangs! 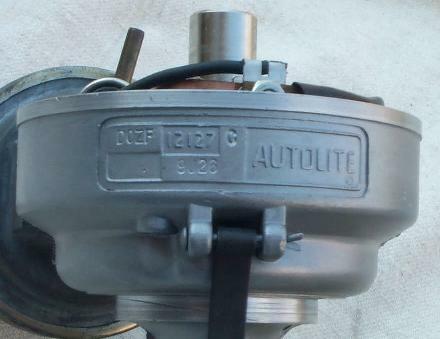 The 1970 D0ZF-C (manual transmission) distributor is a dual point unit. All of the others are single point units. According to the 1970 service manual, "Two sets of pivoted breaker points are used because a slightly longer dwell is thus possible. This results in a better high tension spark". If you'd rather not deal with points at all, these distributors take Pertronix electronic ignition conversions quite well. Though not concours-correct (two wires leave the distributor instead of one), the Pertronix unit makes a huge difference in drivability and maintenance ease for cars that are driven frequently. See your favorite vendor for pricing information. All of these distributors are equipped with both vacuum and centrifugal advance units. 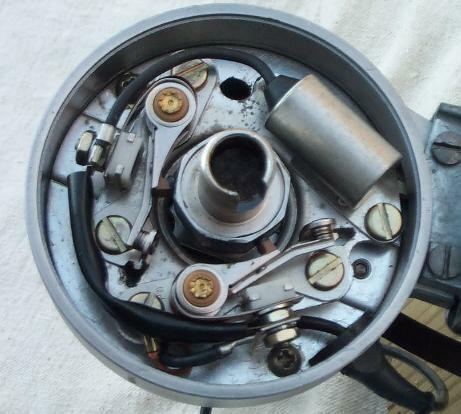 Dual diaphragm vacuum advance units (found on C8OF-D, C8OF-H, and D0ZF-C) use carburetor vacuum on the outer, primary diaphragm to adjust ignition timing in response to engine speed and manifold vacuum on the inner, secondary diaphragm to retard timing during periods of closed throttle idle (to reduce emissions). Single diaphragm vacuum advance units respond only to carburetor vacuum.